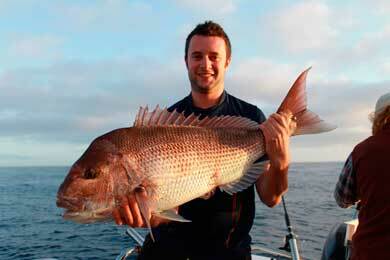 Hello everyone, the fishing over the last couple of months has been excellent with plenty of Gummy`s and Snapper. The water temperature is still 18 degrees and we have had great catches on most charters. We have done two TV shows this year. 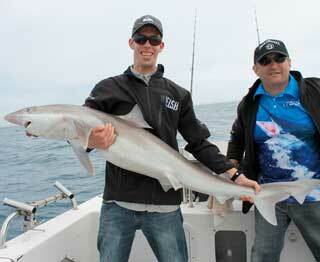 One with I-Fish Paul Wosteling and the other with Jason Kennedy from Fishin trip. The two shows will go to air later in the year. I will let everybody know through Facebook when this happens. 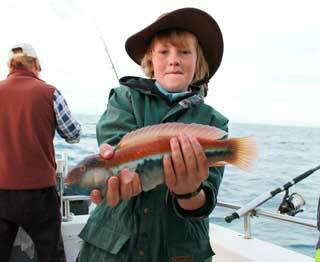 Far Out Charters Lakes Entrance is your number one choice for offshore fishing. We guarantee you will catch fish, and this is why the TV shows come to us. Navigating the bar was their biggest concern ... but for those who know me, the bar presents no problems, as long as you show it the respect it deserves. We're expecting plenty of Fishing Charters over this Easter School holiday break, so if you're after an off-shore Fishing Charter, drop me a line, and i'll either fit you in or get you onboard with an existing Charter. Happy Fishing to you all and safe boating over the Easter break. Full updates and reports on Facebook. 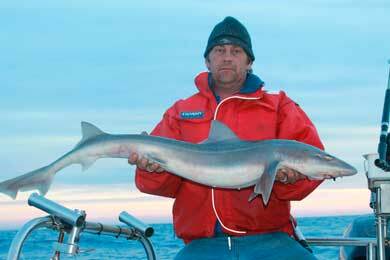 Welcome to another Far Out Fishing Charter Lakes Entrance report. Over the last couple of weeks here in Lakes Entrance, the fishing has been unbelievable, with big school sharks and gummy`s and the big reds, (Snapper). The weather has also been kind getting most people out on their booked days. Lakes Entrance is the place to be at the moment, as the fish are here and the water temperature is 18 degrees now, so it`s prime time to book your Far Out Fishing Offshore Charter. Offshore we have great sun rises and sun sets, so come and check out the photos on Facebook and please like us. Offshore Charter Lakes Entrance blog entry. 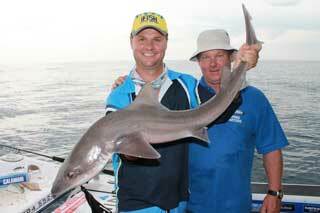 This week in Lakes Entrance with Far Out Charters, the fishing has been great with the big reds turning up. Marie Roderick from Bairnsdale landed herself a 5.2kg Snapper and we would have had a couple more if it wasn't for the seal steeling a couple. But all in all the fishing has finally improved. Water temperature is rising, bringing all our favourite species back into our waters. Offshore fishing would have to be one of the best forms of fishing around. The anticipation of catching the big one is magnified when you're out on the open water. You can check out the latest photos on Facebook. 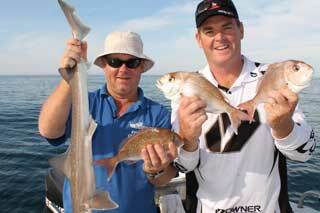 If you are coming to Lakes Entrance for the Christmas holidays give me a call, Tony from Far Out Charters Lakes Entrance, and I will show you that catching snapper is fun and easy.